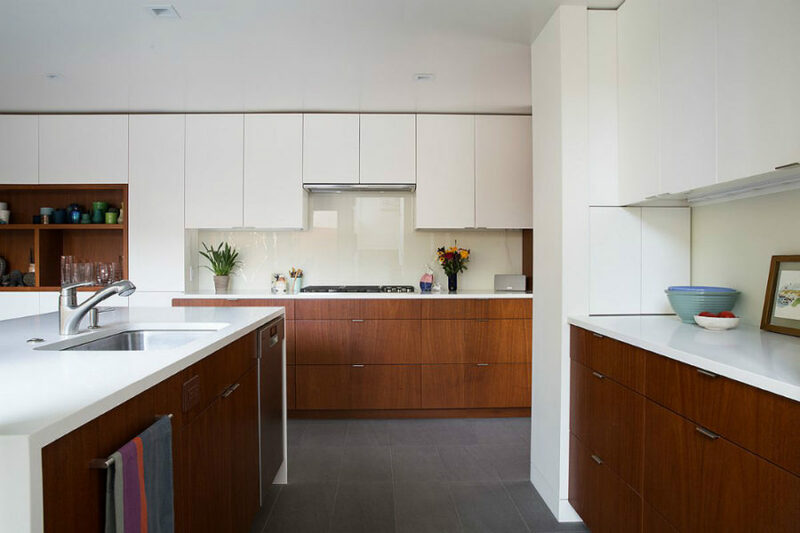 We look at these projects as a chance to “update the classics” by re-invigorating these homes to meet the needs of today’s families with 21st century lifestyles. 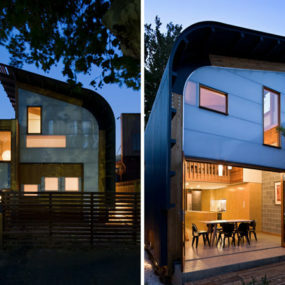 These were great homes to begin with, they’re just outdated. 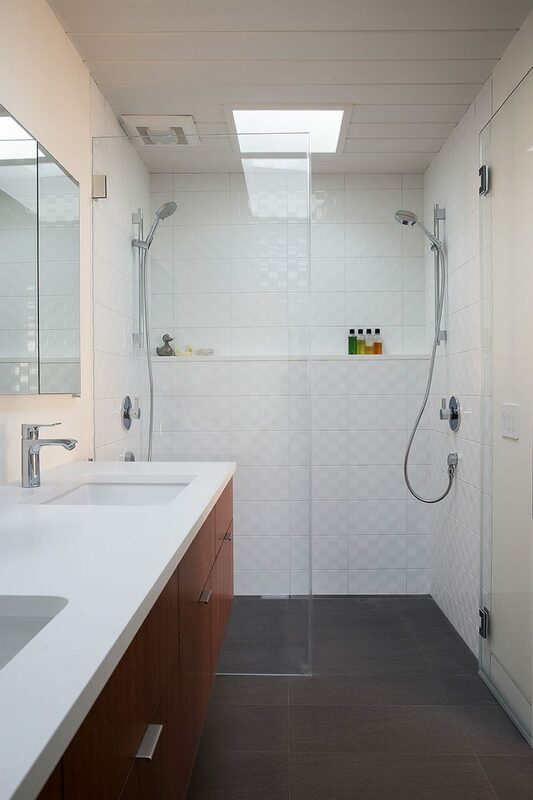 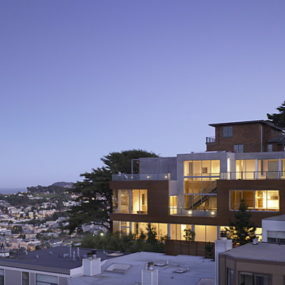 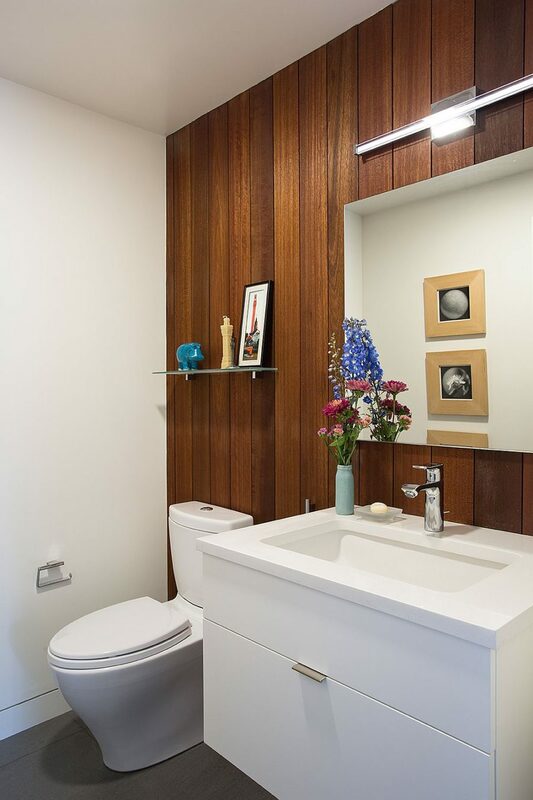 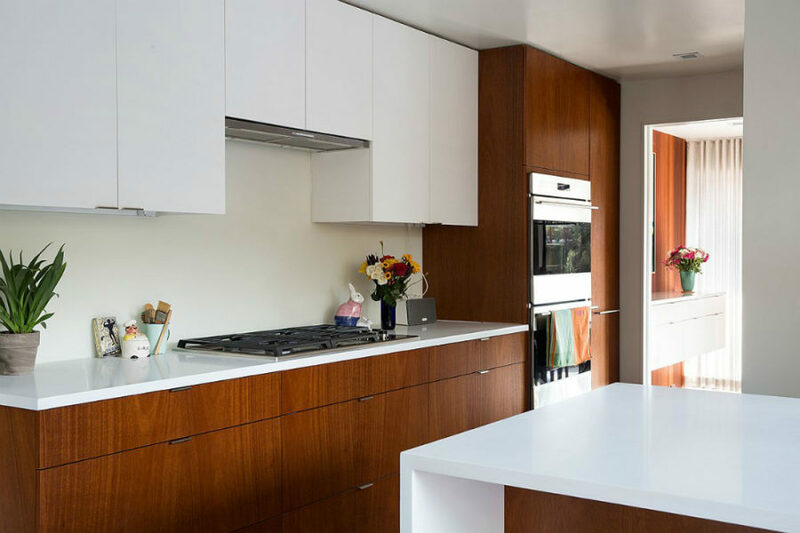 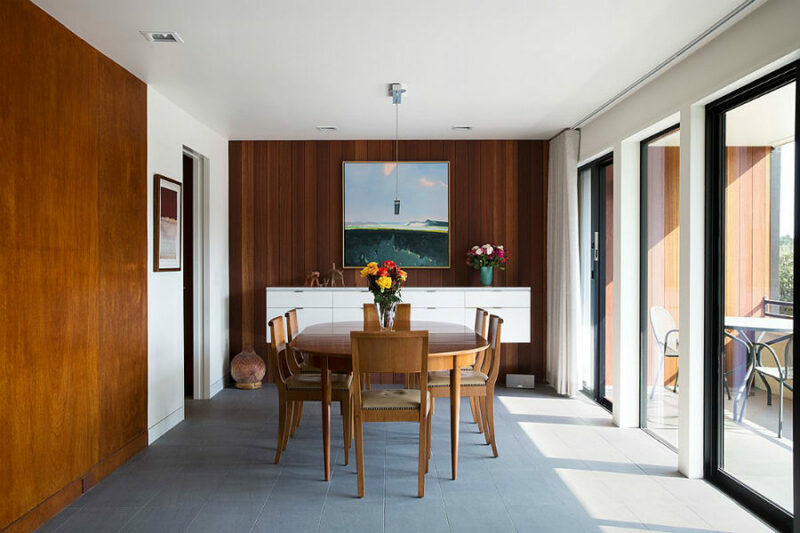 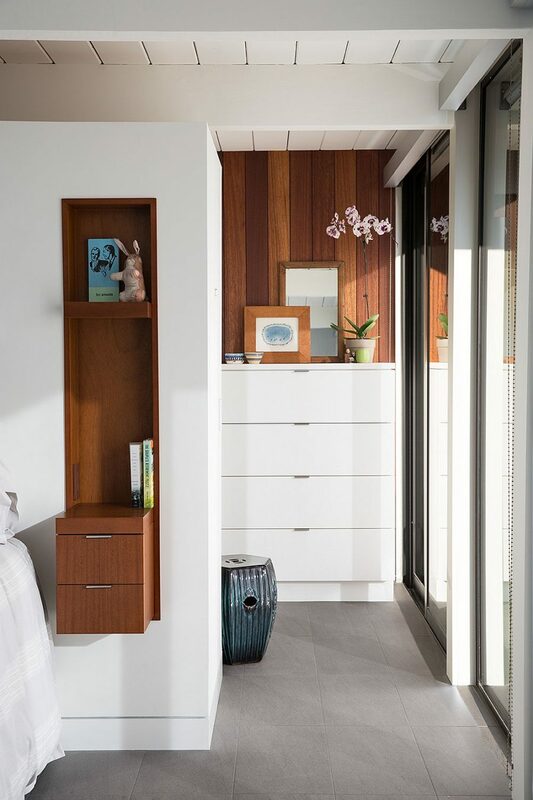 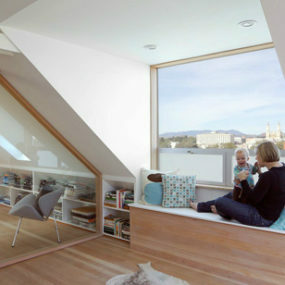 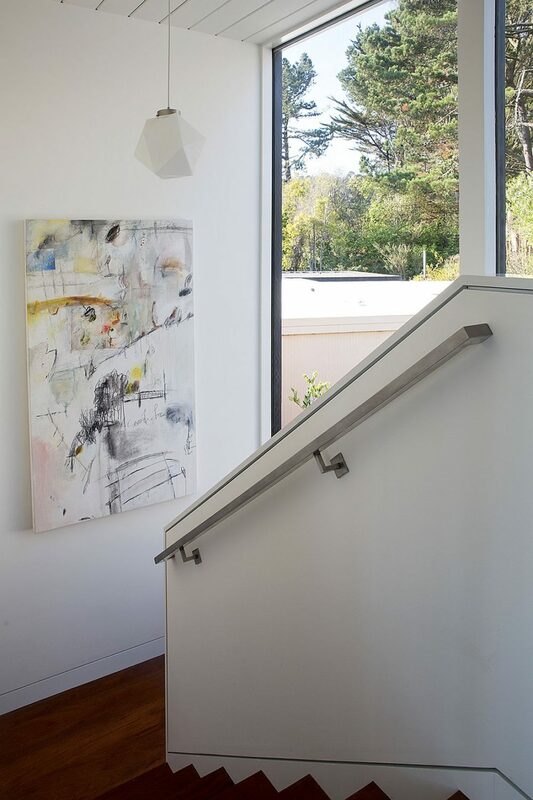 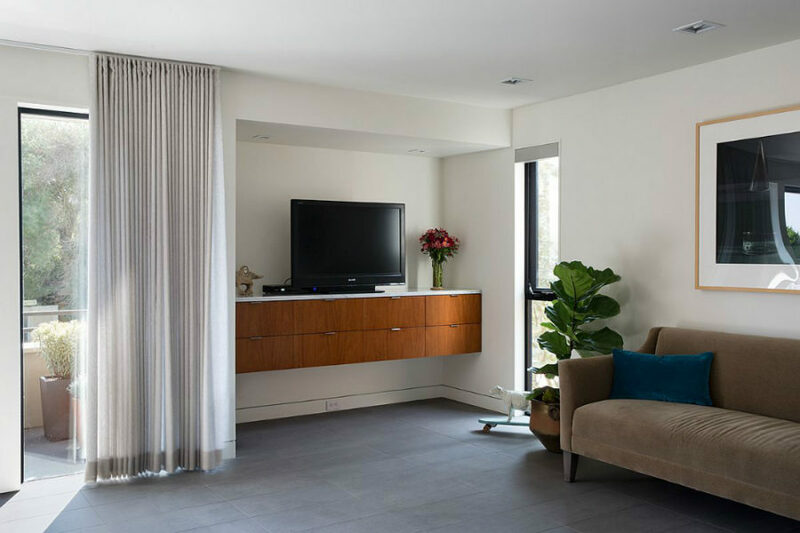 This two-storey 1962 Eichler home located in Diamond Heights neighborhood in San Francisco required the type of renovation that would both create a contemporary open space but also respect the history of the house. 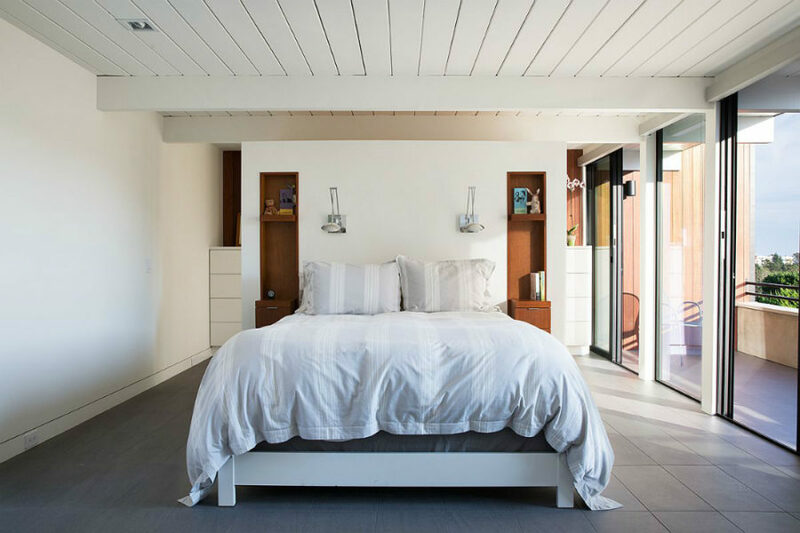 Klopf Architecture chose to pair wooden paneling and furnishings with pristine white color scheme and stay close to the original design. 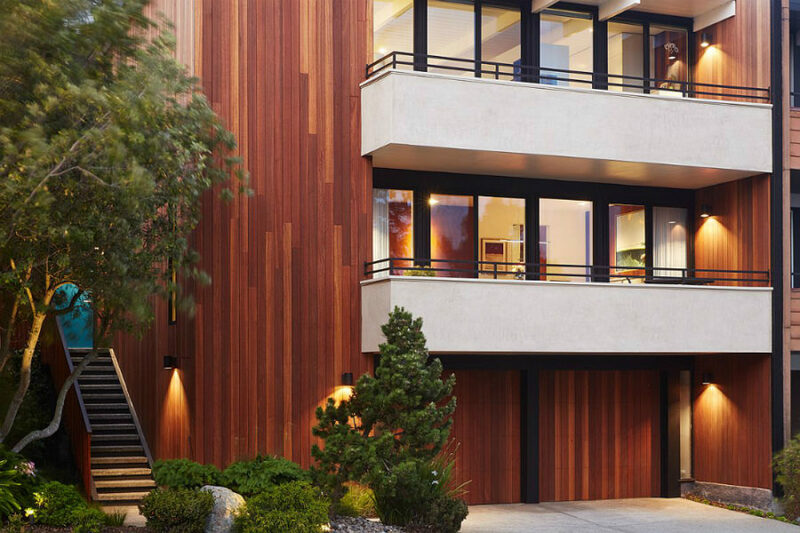 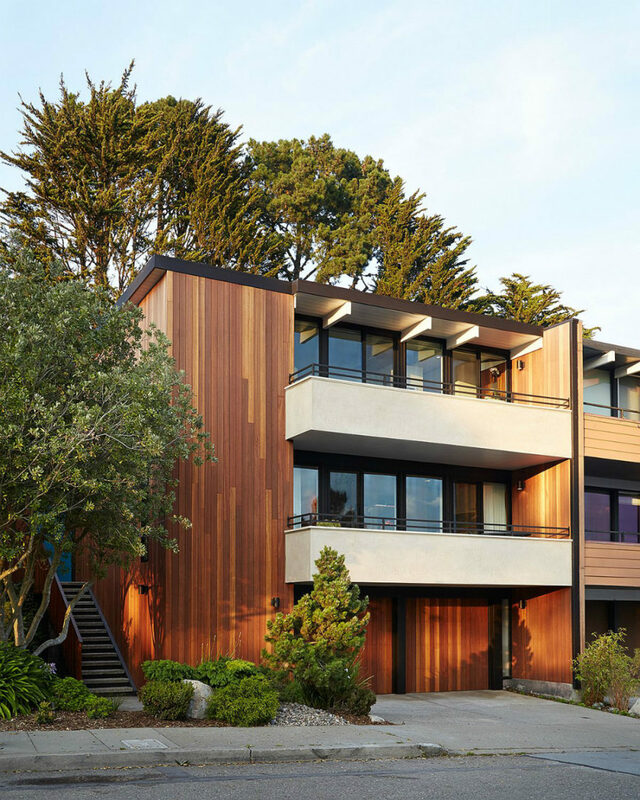 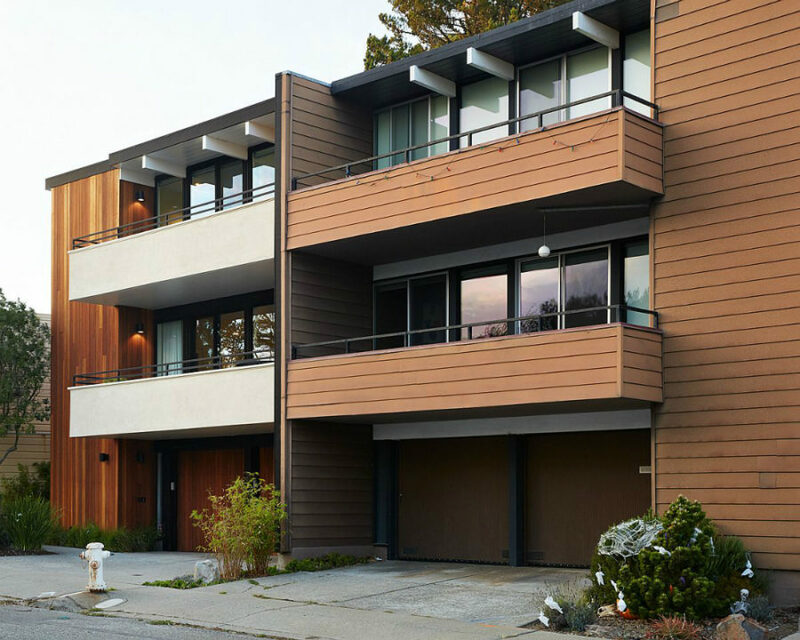 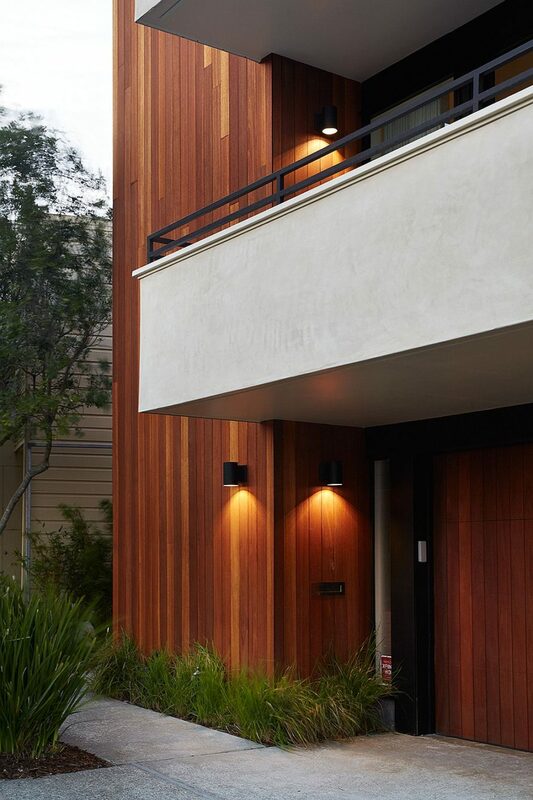 Improving the exterior with wood siding and plastered balconies instead of outdated shingles the designers kept a contrast with the neighboring Eichler home as minimal as possible. 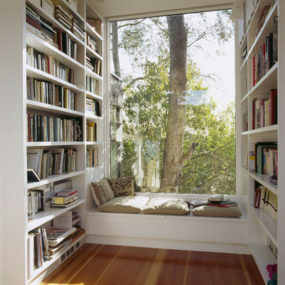 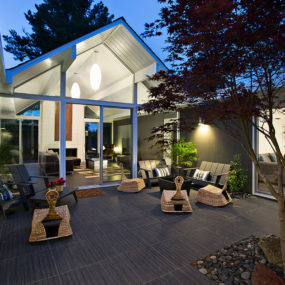 Though the new look definitely makes the remodeled home look fresher and more interesting. 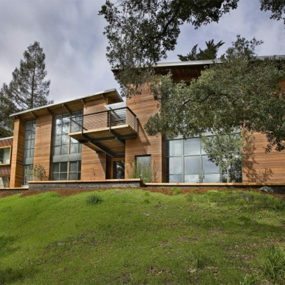 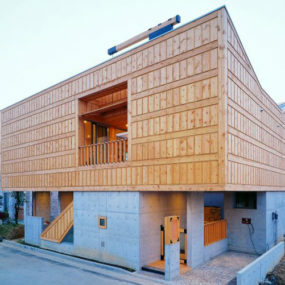 Inside, the house features a continuous flow of white and wood occasionally decorated with artworks and personal details. 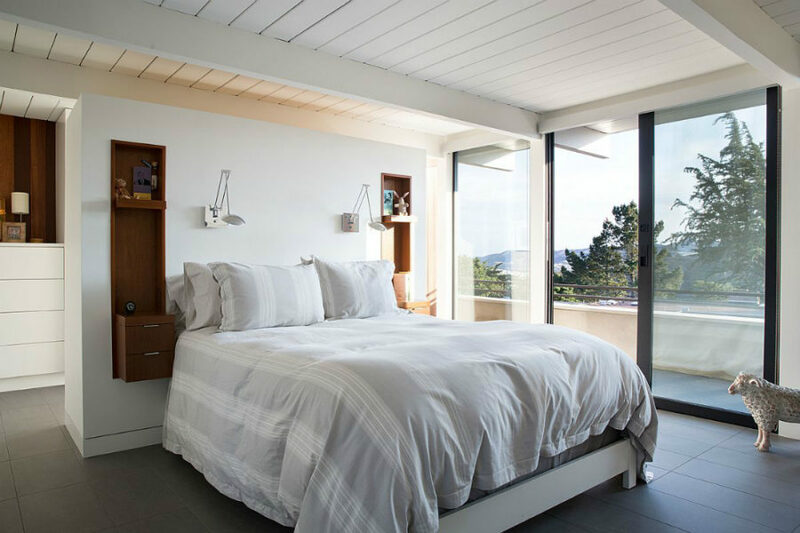 Bedroom and dining room have a balcony access as well as plenty of natural light. 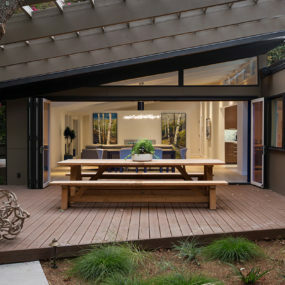 On the ground floor glazed walls and doors that lead into a small inner courtyard create that indoor/outdoor feel Eichler strived for in his projects. 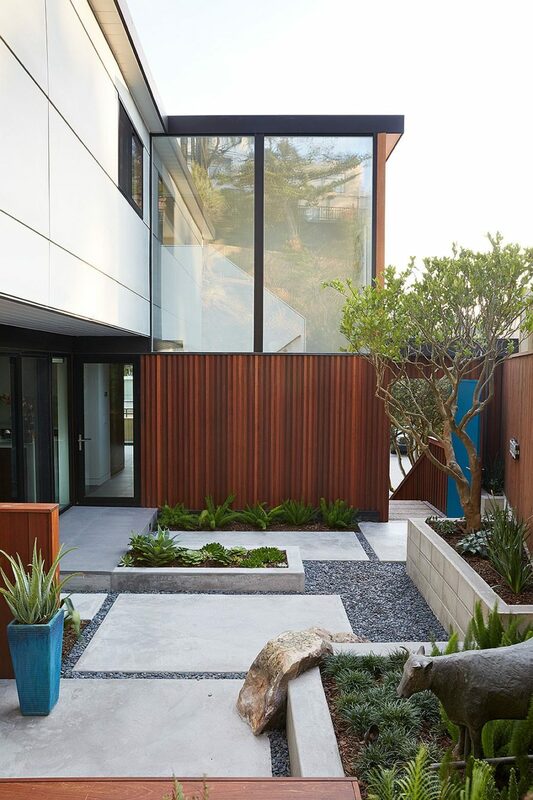 Even the staircase block features a huge window overlooking the courtyard. 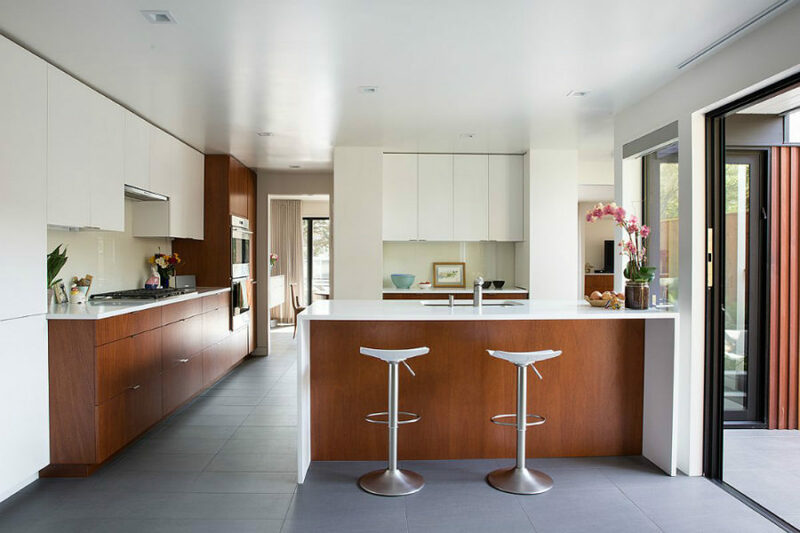 Embracing the history of the building the designers managed to marry the contemporary and mid-century modern styles preserving everything Eichler brought into modern housing from the floor to ceiling windows to exposed ceiling beams.